-I liked it so much I read the second, Force of Nature, and I'm on request for the unreleased next one. A few books I loved by couldn't find a category for! I'm back for another edition of the Virtual Advent Tour hosted by the wonderful sprite writes. It's getting very close to Christmas - one week til Christmas Eve! Growing up in the 1970s, I have a few distinct memories. One memory from Christmas time was that we always got Mandarin oranges. Not the Clementines that are everywhere now. My mother would always splurge and get a box of Mandarin oranges. They were wrapped in the green paper, and my sister and I could easily peel them on our own. We certainly got our vitamin C in those days before Christmas. The other expensive treat was an Advent Calendar every year. We always had one, and it always was the chocolate one. My sister and I would alternate days to open as we waited for Christmas. 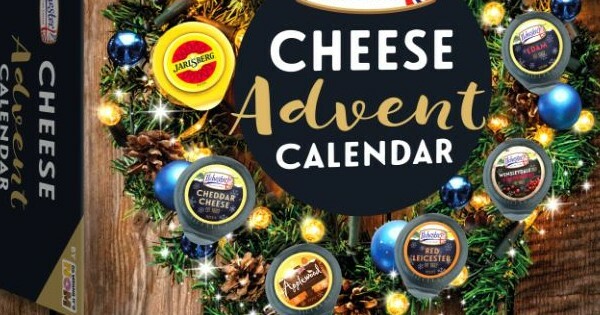 Now, advent calendars are everywhere, and can be found quite cheaply so that my kids each had their own chocolate advent calendar when they were young. But my sister and I had to wait every other day to open a door. As the elder by three years, I had the foresight to count ahead and see the largest box was on the 24th, so could oh, so generously offer my younger sister the opportunity to go first. I was being so nice! I'm pretty sure that some years the chocolate advents were too hard to find in Nova Scotia in the 70s, and we would get an advent calendar with just doors and a picture behind them. Could we really have been so deprived? 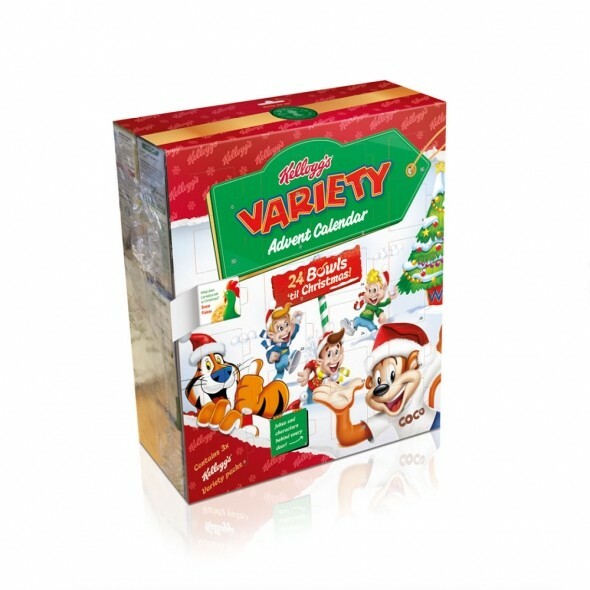 So Advent Calendars have always been a part of my Christmas traditions. That could explain why I've loved the Virtual Advent Calendar every year and am so glad that sprite has continued to host this wonderful sharing event. 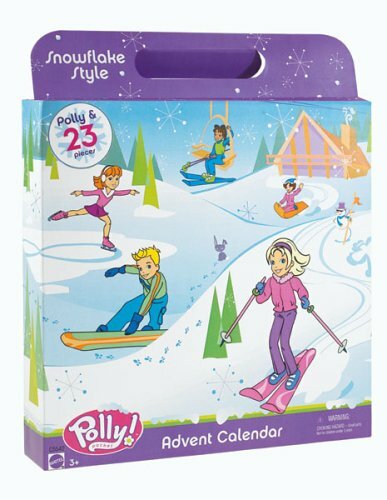 One year when my daughter was probably 6 or 7, I was out shopping Boxing Day sales and came across a Polly Pocket Winter Advent Calendar. It wasn't actually Christmas, just a nice secular winter countdown, filled with winter clothes and accessories for a Polly Pocket doll. And it was half-price, an extra bonus. But the reason this was so perfect was that my daughter's birthday was January 23rd, so we used the calendar to countdown to her birthday party. It was really the most perfect thing I could find. And I never found another one like that to count down to her birthday again. I did however, find Polly Pocket paraphernalia around the house for many years. 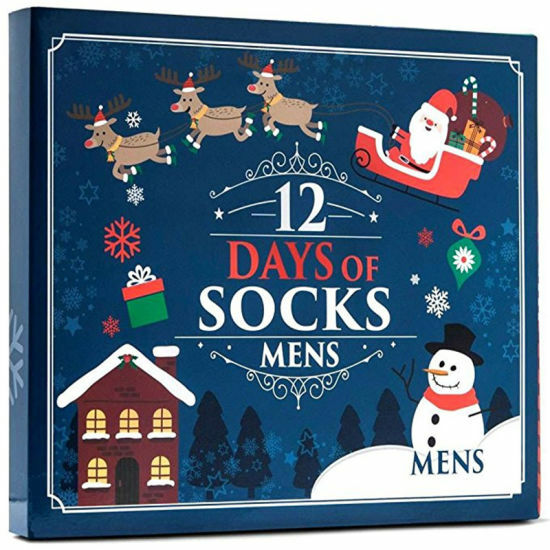 Everyone loves an Advent Calendar. I even bought my parents a Starbucks Advent Calendar a few years ago. It was originally filled with caramels but now I refill it every year after a trip to Bulk Barn. Enjoy as we continue to count down on the Virtual Advent Tour. How do you know if a book is hyped? My standard is that I've heard of it more than once, I've read a lot of people talking about it, or I've seen it on lists. These are books where I picked them because I've heard of them, and then I loved them. Definitely worth the hype - I loved Eleanor Oliphant! It was delightful and heart-breaking. I got caught up in this one and freaked myself out one night. And then the Golden State Killer was caught in the month or so after I read it. That made it super cool, but the writing and story and diligence of McNamara make this nonfiction book worth the hype. This is a local book and I've heard other Islanders rave about it and when I finally read it, I couldn't put it down. How quickly a person can fall into addiction, even one who seems to have it all. The audiobook of Big Little Lies was over 15 hours long and I couldn't stop listening. I think I burned through this book in a couple of days because I was obsessed. I know it is a show on HBO but I haven't seen it at all. Big Little Lies was definitely worth the hype! Great friendships and a mystery. Virtual Advent Tour 2018 is hosted at Sprite Writes. It is not too late to sign up and join in. I don't have a particularly festive post today, but December 6th is an important day in Canadian history. Two huge events that are still remembered each year happened on December 6th: the Halifax Explosion, and the Ecole-Polytechnique Massacre. 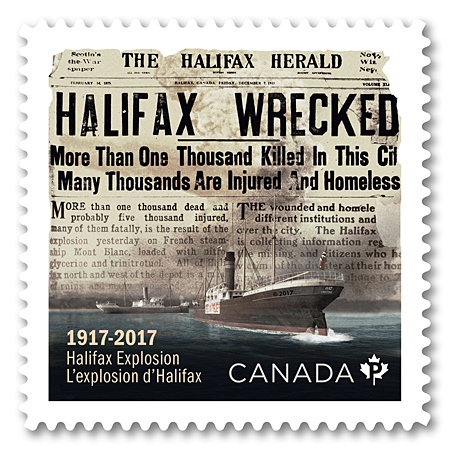 Last year was the 100th anniversary of the Halifax Explosion, the largest man-made explosion until the atomic bombs in 1945. Two ships, the Mont-Blanc and the Imo, collided in the harbour. One of the ships was filled with explosives and thus the terrible devastation. There are several great reads about the Halifax Explosion, particulary Barometer Rising by Hugh MacLennan. It was written as fiction, but is based on the facts. This year I listened to The Blizzard of Glass by Sally M Walker, a nonfiction read geared to young adults. Like all good nonfiction, it includes all the facts, but incorporates personal stories into the narrative. I can tie the Halifax Explosion to Christmas! Every year, the province of Nova Scotia sends a huge Christmas tree to the city of Boston in remembrance of the help and support Boston provided to Halifax after the explosion. The Maritimes and 'the Boston states' have always had a close relationship as many Maritimers moved to Massachusetts to make their living. Many eventually returned, and few people from here don't have distant relatives in the Boston states. The gift of the tree is a tangible recognition of this connection. Canadians grew up watching a great Heritage Minute about Vince Coleman, the telegraph operator who realized what was going on and was able to send a message to an incoming train to warn them of the disaster in Halifax, saving hundreds of lives. We used to love watching this with our kids, because each week, they would hope Vince would survive, but alas, he never did. The second event commemorated on December 6th is the murder of 14 young women at the l'Ecole Polytechnique in Montreal. The only reason they were killed is because they were women. Women studying to become engineers. December 6th is now a day of remembrance and action on violence against women. It is also a reminder that Christmas is not a wonderful time for everyone - some people are scared and in danger in their own home. The image of peaceful Christmas around the tree is not for all. I was in university, and my sister was studying engineering at a different university in 1989. It was one of the first gun massacres and mass shootings, ten years before Columbine. It was so shocking and horrifying. There was changed gun control legislation as a result of this massacre. While both these events were terrible days in Canadian history, remembering them each December 6th is a part of leading up to Christmas, a time of hope and promise. Winter has arrived far too early here on PEI. We have already had several storm days with school being cancelled and the storm last week had power out across the Island for up to a few days. We were lucky and had it back after ten hours, but it was the first big power outage we've experienced in many years. It looks like the snow is here for good, which is pretty much a month earlier than usual. The topic this week is Cozy/Wintry Reads, which to me this week, is Christmas reads. I've already read a few - two Anne Perry Christmas novellas, and An Alaskan Holiday by Debbie Macomber. It was my first Macomber, and probably my last. Are they always this corny and ridiculous? At least I learned all those Debbie Macomber books can be avoided, which decreases the potential books in the world to read by several hundred, lol. Delightful collection of interlocked short stories written by top YA authors, set at Christmas. Two loner kids meet over the Christmas holidays in New York. I've always loved this cover, and discovered The Strand, a goal if I ever get to New York City. I always enjoy this easy going series, set in a Ballybucklebo, in Northern Ireland in the early 60s. This is the third in the series but not much really happens in any particular book. Delightful! Sweet book that has a bit of a Christmas Story look back at a Christmas in the 50s when the narrator was young. I bought this short story in a hard cover edition so I could read it every year, but see if you can find an online version (maybe a CBC podcast) with the late great Stuart McLean reading it for the full flavour. I hear Stuart in my head when I read it. Fully hilarious story. Short reminiscence of life in Wales. It's a classic for a reason and I'd recommend a read, or a re-read. A children's story with the meaning of Christmas hidden amongst the funniest story. You will not forget the Herdman's. This is just any short story, or chapter from a novel, with a Christmas connection. Montgomery is excellent at the pathos and the happy ending. Also includes the puffed sleeves episode. Are you watching Anne with an E on Netflix? I highly recommend it for Anne fans everywhere. Extremely well done! Alistair MacLeod is considered on a Canada's greatest short story writers and this one set in Cape Breton is charming. As you grow, you realize a lot more about your family. Some of these Victorian novellas are better than others, but I like how Perry picks some of her peripheral characters to focus on in these shorter stories. If you've read her Thomas and Charlotte Pitt series, or her Monk series, you will also enjoy these slight mysteries.